Photos copyright Peter Poole, no reproduction without permission. 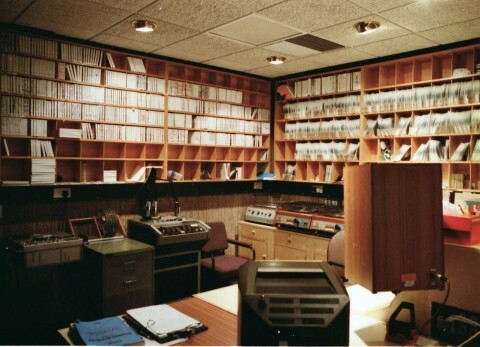 These photos from the early 1990s, show the Film Sound Transfer Suite which was a very busy area. Its main use was to transfer audio tapes to SEPMAG. 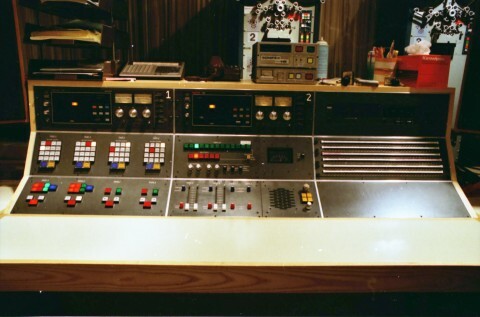 The tapes were recorded on a Nagra tape recorder together with a pilot tone signal. This was needed to ensure that the audio was synchronous with the picture. 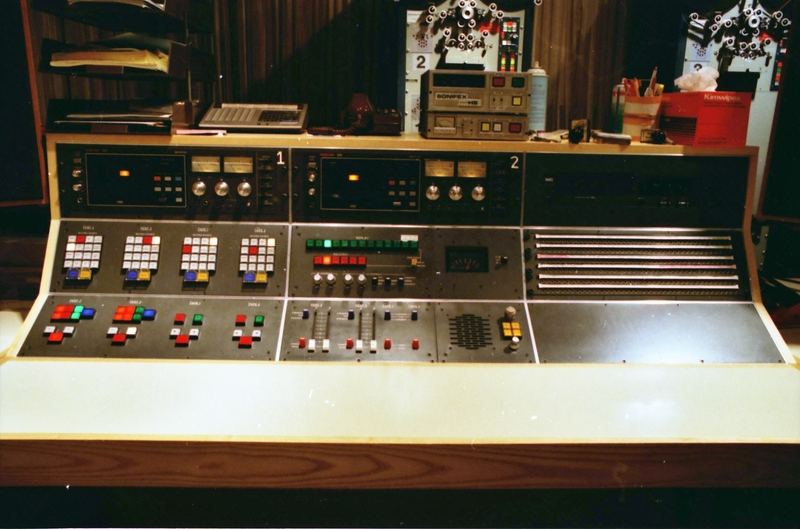 At a latter time a DAT recorder with time code replaced the Nagra. The Transfer Suite also housed a collection of “Library Music”. These discs were produced for TV and radio programmes and not commercially available. They had interesting titles such as “Links Bridges and Stings”. 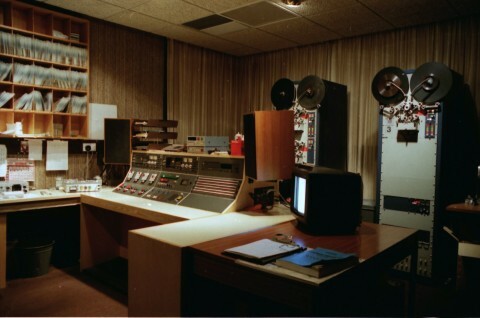 A full collection of BBC sound effects were also available. Very interesting Peter. Very clear photos. What fun to find this site, which brought back many memories. I worked at Pebble Mill from 1978-1981 whilst also studying at B’ham University. I then moved to London to become a Radio Studio Manager and eventually left to become ordained. Now working at Exeter Cathedral. 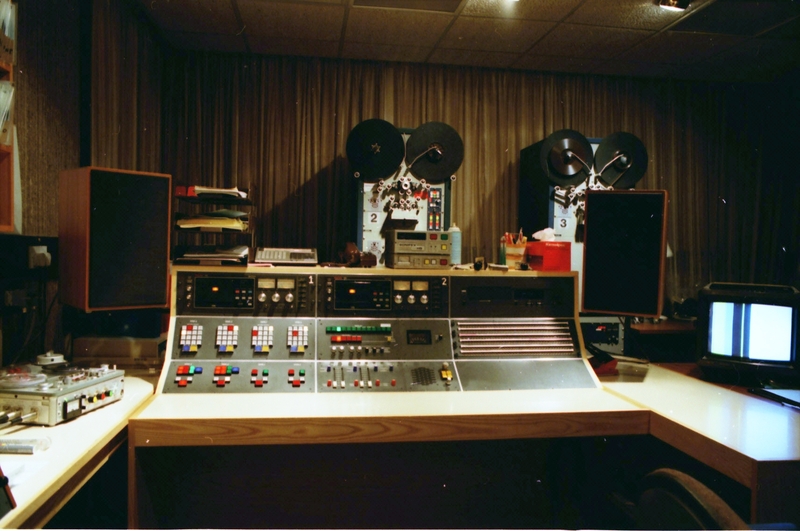 I worked in the Dubbing Theatre and Film Transfer Suite with Peter! The ‘new’ one looks like a good facility. I recall the old one was a bit of a lash up to begin with but got better. But we used to get through quite a lot of mag. as I recall! I worked at Bush and BH in London. Bush was pretty unique in all kinds of ways but Pebble Mill just had a special, almost family, feel to it and I loved my three years there. It is a great shame it has gone. Glad you found the site Andrew, and enjoyed it. Good to hear from you. I have a photo of you at Pebble Mill. I will post it soon. I’m very glad to see you are now Canon Chancellor Andrew Godsall. Very good to see you as well Peter. It would be good to know what you are doing now. Was that new transfer suite just along near where VT and Telecine were?